Crisps, drinks, sweets, lollies! What more could you want from an ice cream van, and what could be more attractive to children? If you are one of those who owns an ice cream van, then you need something to alert the attention to the fact that crisps, drinks, sweets and lollies are sold in this van! 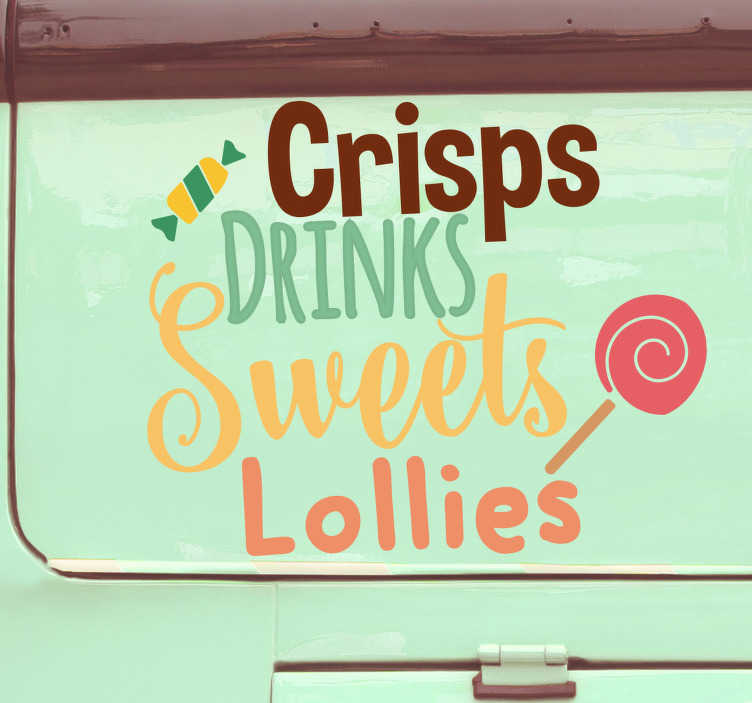 Well, now you can with this fantastic vinyl text decal - A perfect ice cream van sticker for all those drivers out there!